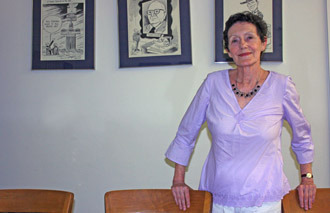 Sylvia R. Frey is a Professor Emeritus at Tulane University, specializing in Colonial and Revolutionary America, U.S. political traditions and institutions, and women and religion. Sylvia’s life was shaped by a strong mother who supported all of her life choices — even the unconventional ones — and a community of religious women who taught by example the full meaning of human equality. As a graduate student during the tumultuous years of the Civil Rights and women’s rights movements, she focused on issues of race and gender. She is a founding member of Nola4Women, an organization that takes action through innovative programming to promote a future where every woman and girl has the opportunity to reach her full potential.